“To be funded to do research and be able to see if this is the path you want to follow and make all these connections for graduate school is invaluable. RUTH VARNER has had a long, rich history of mentoring undergraduates at the Earth Systems Research Center and department of Earth sciences. She was recently recognized for this by the American Geophysical Union, which officially bestowed Varner with the 2015 Sulzman Award for Excellence in Education and Mentoring at the AGU Fall Meeting in San Francisco. Sophie Burke Photo by Kristi Donahue, UNH-EOS. But many of those who have been mentored by Varner in the past—in particular the young women who have gone on to get master’s degrees under her tutelage—have honored her less formally by noting they were swept up in the “Varner vortex” as they set their sights on scientific research careers. 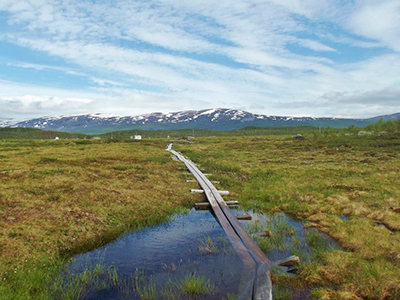 The boardwalk through the Stordalen Mire Nature Preserve in Abisko, Sweden. Part of it has sunken into a thaw pond due to thawing permafrost. 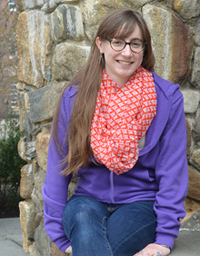 Photo by Jessica DelGreco, UNH-EOS. No effort is more representative of Varner’s mentoring than the NSF-funded Northern Ecosystems Research for Undergraduates (NERU) program, for which she is the founding director. 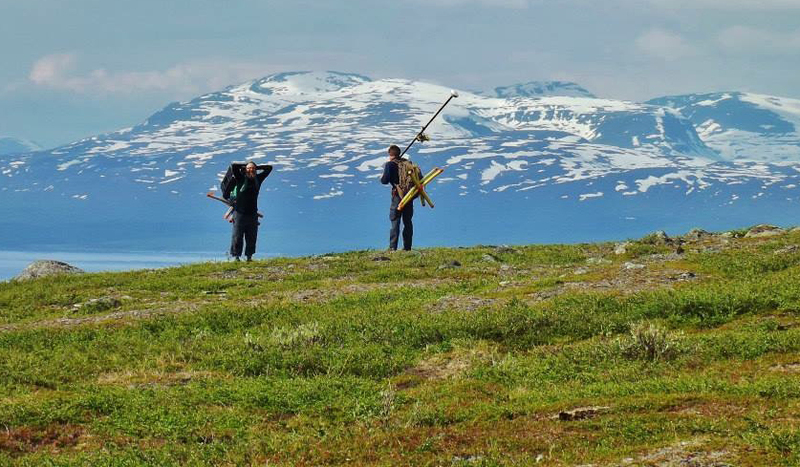 NERU, a collaboration between UNH and the Abisko Scientific Research Station in Abisko, Sweden, focuses on the impacts of climate change on permafrost and lake environments in the Stordalen mire complex some 124 miles north of the Arctic Circle. 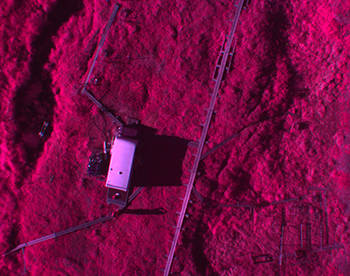 A specific focus of the research has been measuring methane—a potent greenhouse gas—emissions by various means. After four years, the program has given 37 undergraduates from colleges around the nation the opportunity to cut their teeth on state-of-the-art climate change field research abroad and in laboratories here at UNH. Students typically come from colleges and universities that lack extensive research programs and opportunities. The uplands of Vassijaure, Sweden west of Abisko. 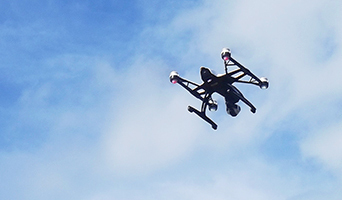 Mike Palace (left) and Kellen McArthur collect photographs using the drone Palace carries on his back. 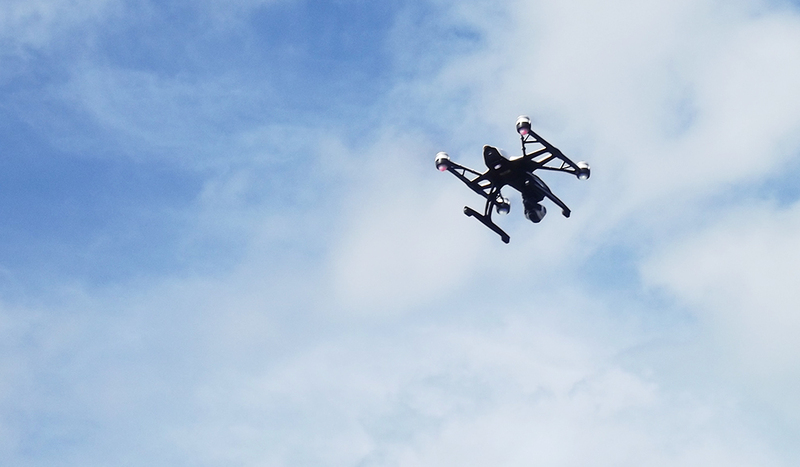 The yellow Xs McArthur holds were placed on the ground and used as control points for the drone imagery and referenced using the GPS unit also carried by McArthur.Photo by Jessica DelGreco, UNH-EOS. One of the key benefits for these undergraduates is having the opportunity to present their findings at the American Geophysical Union’s annual Fall Meeting in San Francisco where 20,000-plus scientists gather to share the latest findings in geophysical research. But in order to participate, the NERU students must prepare their abstracts for submission shortly after their return from Sweden and just two days before the summer program ends. Joining Varner this past summer as part of the mentoring crew were Erik Hobbie, Michael Palace, and Carrie McCalley of EOS, Joel Johnson of the department of Earth science, high school teacher Alison Hobbie, and graduate student Natalie Kashi. The 2015 contingent of NERU students included: Jessica DelGreco, UNH; Christopher Horrultiner, University of Florida; Erin Marek, Transylvania University; Kellen McArthur, University of Minnesota; Adam Nicastro, Miami University of Ohio; Clarice Perryman, Earlham College; and Melissa Schwan, University of Arizona. A panoramic shot of the Stordalen Mire Nature Preserve. Photo by Jessica DelGreco, UNH-EOS. Kellen McArthur and Erin Marek are two of the seven 2015 NERU fellows. McArthur is a geology major from the University of Minnesota-Morris and Marek is a biology major from Transylvania University. 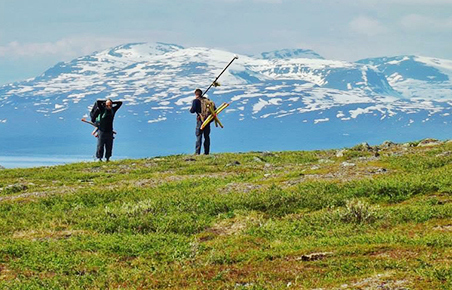 Upon their return from the four weeks studying at the Abisko Scientific Research Station—and squeezed in between finalizing their data for a final poster session and submission of abstracts for the 2015 Fall AGU meeting—they provided Spheres with a brief summation of their summer NERU experience and how it influenced their future plans. 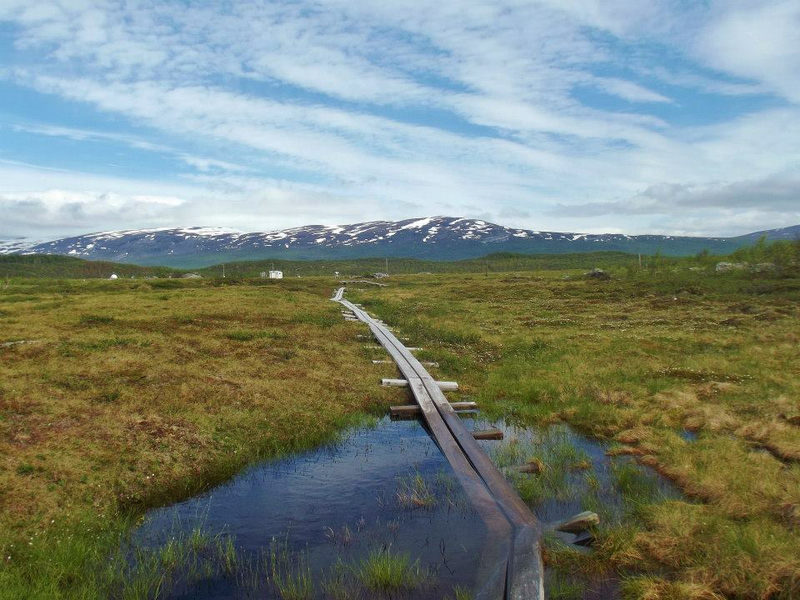 McArthur’s research project in the Stordalen Mire consisted of extracting “pore” water from 20 centimeters beneath the peatland/permafrost surface to see what kind of correlation there is between the cover vegetation and the type of process microbes belowground are using to make methane. The NERU experience was McArthur’s very first foray into research. 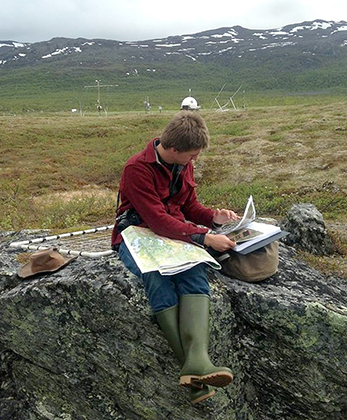 NERU student Kellen McArthur at the Stordalen Mire Nature Preserve in Abisko, Sweden maps out the location of the team's next plot site in the mire using areal photographs collected in 2014 by NERU students. Marek’s work in Abisko investigated how soil microbial activity might be playing a role in the expansion of shrubs into open areas or heath systems. Varner notes that she was particularly impressed this past summer by how much the students helped each other even when their projects did not necessarily overlap. 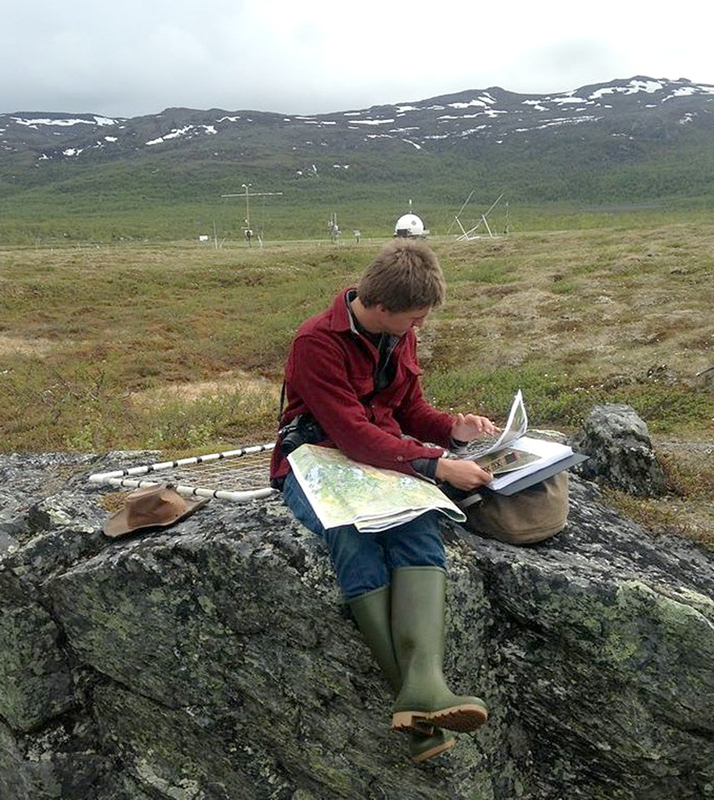 For example, students like Marek had field samples they had to process in a timely fashion “and might have to stay up till early morning to get the job done and they’d all help out, even the ones who were working on totally different projects. And this was stuff that was boring and repetitive but they wanted to help each other out. That was really nice to see,” Varner says. And four years and 37 students later, Varner says it’s also very nice to know that the NERU program has been very successful in creating a diverse group of students who are getting an international research experience that would never be possible at their home institutions. The students who have gone through the program have been 63 percent female, 21 percent from underrepresented groups and included a number of non-traditional students. Photo by Mike Palace, UNH-EOS. 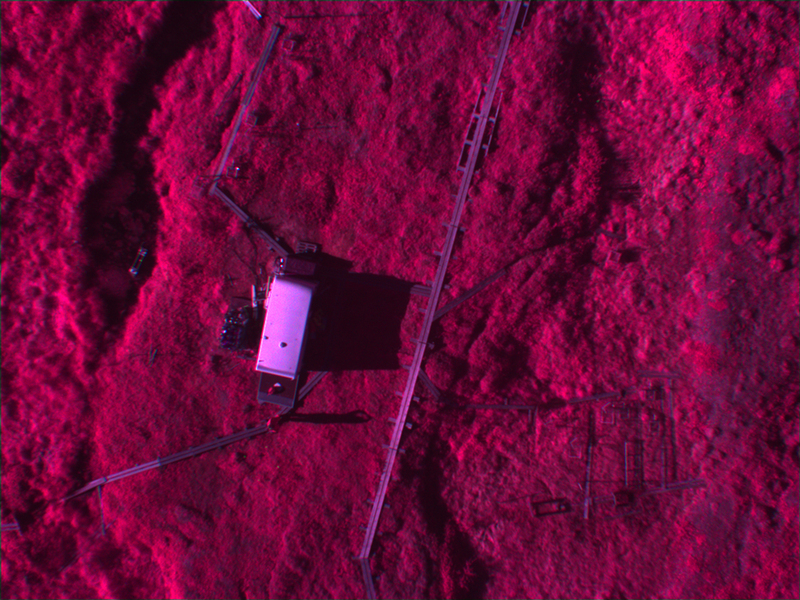 Drone image taken in near infrared, red, and green bands—the same bands as the Landsat satellite. Photo by Mike Palace, UNH-EOS. And what has been learned scientifically after four years?